Time spent handling, moving or treating cattle in yards is minimal when factored over the course of the year – but it can certainly account for a lot of stress on both handler and animal. Regardless of the number of cattle you run, a well-designed, functional set of yards will lead to easier management and better animal health. If your cattle yards are only just getting you by, perhaps it’s time to consider an upgrade or renovation. When planning new yards – or renovating exiting structures – aim to ensure yards are constructed from safe, durable materials and allow cattle to flow calmly and continuously, whilst being able to be restrained as both mob and individual for treatment. A leading world authority on cattle yard design is Temple Grandin, who visited Australia late last year to discuss low stress stock handling and stock flow in yards. Having designed yards for major processors such as JBS Swift, Temple spends much of her time promoting the need to incorporate an understanding of animal instinct, low stress handling and appropriate yard design. Diagnosed with autism at a young age, Temple has been able to use her experiences with the disorder – and her capacity to ‘learn and think through pictures’ to relate to animals in a way that allows her to uniquely interpret situations as an animal would. “Animals are sensory-based thinkers,” Temple said. “By giving the animals adequate time to acclimate themselves to their environment, and even approach new and exciting parts of it, stress can be removed from the equation,” she explained. 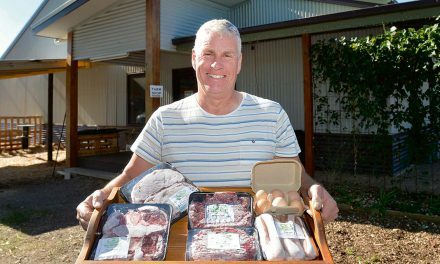 Rough handling of stock and the subsequent rise in stress and adrenalin levels can make a big impact on farm profitability, with penalties applied for meat that cuts dark, is bruised or is tough. With yard design that allows cattle to flow easily in a low stress manner, profits can be maximised as well as safety for both animal and handler. “Yards don’t need to be large or complicated in layout to work well. 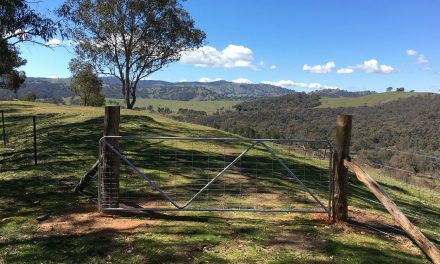 “The important points are that the yards should be centrally located to allow easy mustering from all parts of the property and accessible to vehicles by a good all-weather road,” Roy Hurst of NSW Primary Industries said. “The ideal site is a gravelly ridge with either a level area or a gentle slope down to the north-east. This provides a firm base, good drainage and quick drying in wet weather,” he said. Other points to consider are the availability of shade for working in warm weather, proximity to water and location compared to the house – cattle can make a lot of noise when in yards, you don’t want to have them too close by. A range of materials can be used in construction, the choice depending on local availability of materials and the amount you are prepared to spend. The areas that receive a lot of pressure from stock – such as gateways, forcing yard and race – need to be sturdy and well-constructed. “Wire rope or cable is well suited for the outer fence in circular yards, and sheep mesh with bush timber rails on top works well where the yards are to be used for holding sheep as well,” Roy said. 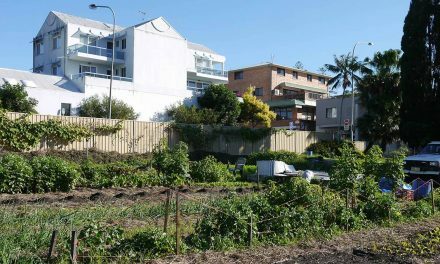 “Timber posts should be a minimum of 200mm diameter, and steel pipe at least 75mm,” he said. K-Rail has become increasingly popular in owner-constructed yards due to its cost effectiveness when compared with similar pipe, mesh or timber yards, as well as the fact that it is virtually maintenance free. 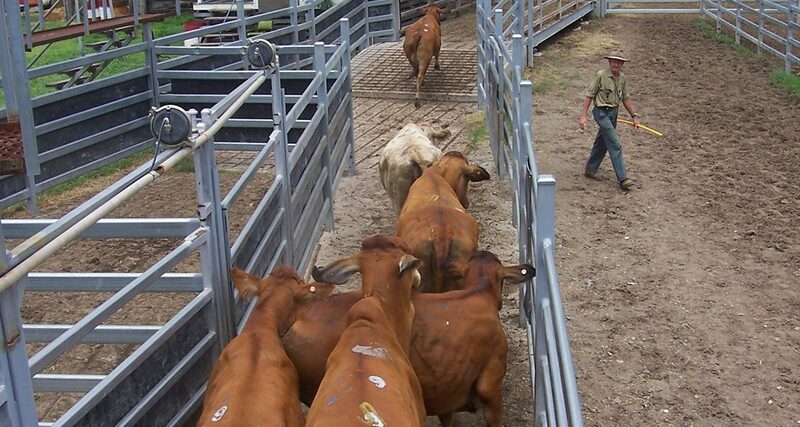 Solid sides on races, loading ramps and forcing pens can help to keep cattle calm and moving forward. A curved, single file race promotes smooth cow flow because they cannot see people standing by the squeeze chute. Ensure the entrance of the race is not too dark or looks like a dead end with no place to go – a cow standing in the forcing pen must be able to see a minimum of two body lengths up the single file race. Bright light and shiny reflections deter cattle, so consider yard orientation so as to avoid where possible, situations where cattle are moving directly into sun or shadows when in the race, forcing yard or loading ramp. Cattle also prefer to move back towards their paddock, so circular yards work better if the cattle are moving back towards the yard entrance. Cattle movement in yards should occur smoothly, without spooking or stopping. 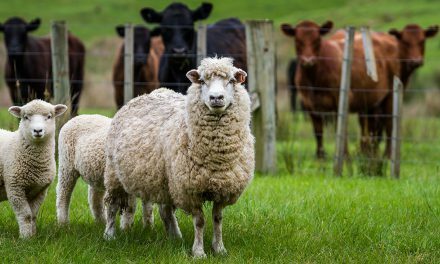 Small distractions such as changes in floor type or fence construction can make cattle baulk, so watch mobs carefully and walk the yards often to ensure they are working with the natural instincts of the herd. It is wise to talk to other producers in your area, industry experts and yard manufacturers to help develop an efficient yard design. The above images offer ‘tried and tested’ example yard designs for smaller mobs (10-50); promoting good cow flow and ease of management. Common features include rounded holding yards, forcing yards and raceways to avoid cattle bunching up and promoting cow flow through the system; a 1.5 m high raceway approximately 675-700 mm (plus the thickness of the rails) wide; a 750mm loading ramp at least 3.5-4.6m long rising to a 1.2m loading height with a level section of 800mm to 1m long at the end of the ramp to allow a smooth flow of cattle onto and off the truck rather than stepping onto a sloping surface; non-slip, non-transparent flooring on ramp floor, bolt/slam shut spring-loaded gate latches that do not protrude outside the boundary of the gate and non-slip catwalks beside forcing pens, races and loading ramps to assist in animal husbandry operations. Are receiving yards the appropriate size for the number of cattle to be yarded? Are yards safe to operate (are there hazards such as broken wires or nails, or slippery/boggy surfaces)? Do gates open, close, swing freely and remain safe even if kicked or pushed by cattle? Are troughs and water points safe to access and in good order? Will cattle move freely through the yards or do the yards have blind spots or areas where cattle baulk? Are exit areas identified and accessible for handlers? Does yard construction, surfacing and rail spacing allow safe access for animal husbandry tasks to be undertaken and is there safe access to remove animals, should they go down or become jammed? Do sliding gates have handles and guards to prevent injury to operators? Does the ramp have an apron of 1-1.5m at the end to allow the opening and closing of truck gates and is there a sliding gate at the top of the ramp that can be accessed safely to secure animals on the truck once it is loaded? Does the ramp have a catwalk of 1-1.5m on at least one side of the ramp? Are there options for dust control or cooling cattle in hot weather, including sprinkler or irrigation systems and are water pipes buried, placed overhead or along railing systems to avoid being damaged and so as not to create a trip hazard? PreviousIs That The Sheep For My Small Farm?